ALHAMDULILLAH we successfully our read me image a new thing. Now you can easily read short description about PAKPC. Keep visiting PAKPC. Thank You! We just made some changes in our site main style. Hope you will like this style. Keep visiting our site & download latest stuff. 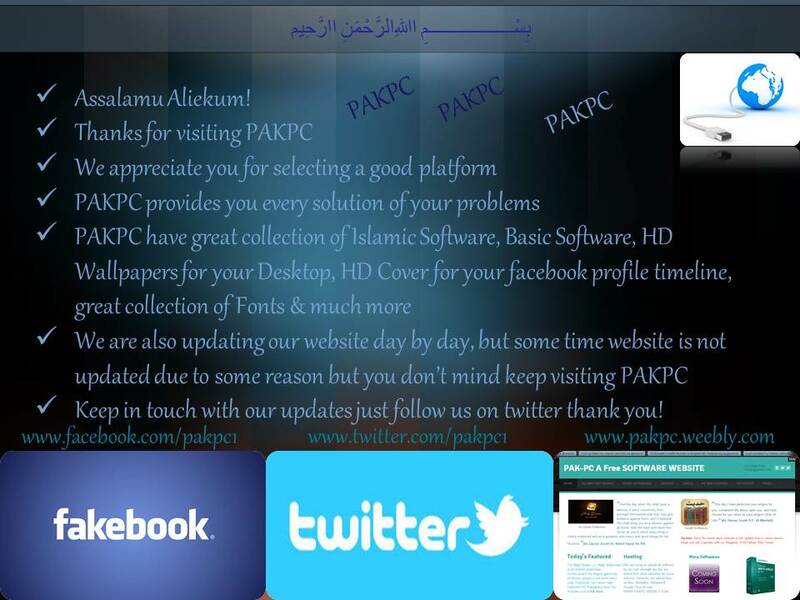 ALHAMDULILLAH We successfully created our account on an other beautiful file uploading website that is Copy. So now you can download different stuff more easily than previous from our website. We changes download link of DVD Cloner. First we upload file on Google Drive but it was giving error so we changes it link & upload on Box. Now you will not find any problem INSHALLAH Download DVD Cloner Now Easily. Another good news for you, after Google Drive we choose an other platform 4Shared biggest uploading website on the rank. Now you can download files much easier & faster than previous.